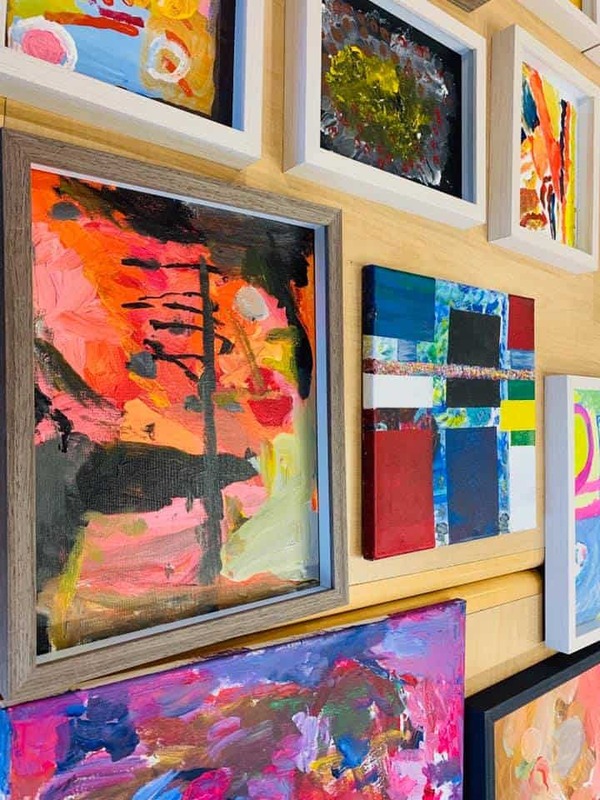 The Open Art Studio at Goddard meets weekly and is designed to bring out the artist within each participant, regardless of artistic background or ability. For two hours, residents leave judgment and self-criticism at the door, trading it for exploration and rediscovery. They create not for an audience, but as a form of self-expression, connecting with others along the way. Our Open Art Studio stems from an Open Studio Art Therapy Model founded by Art Therapist Pat Allen. This model encourages the artist to search from within and allow the paint on the canvas to guide them. There are no restrictions on style or technique; instead, participants are guided by emotion and creativity. 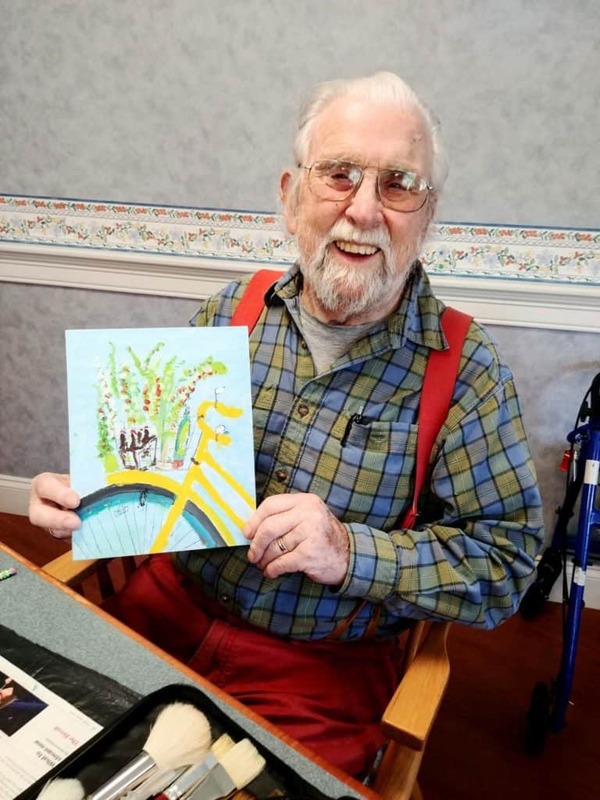 Our Open Art Studio program gives residents at Goddard the tools and space to therapeutically express themselves through the art-making process. For some, this is the most valuable program and one they look forward to all week. “Making Music Connections” is a course we offer with our training collaborator, Berklee College of Music. 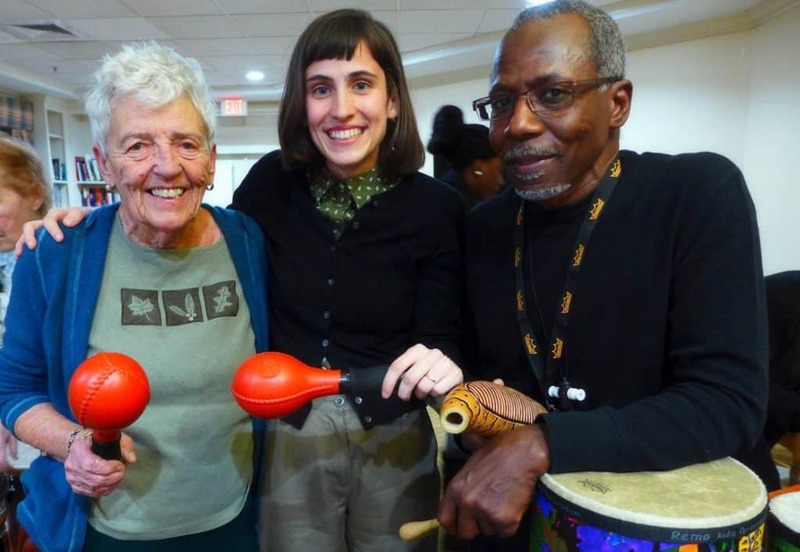 The purpose of this innovative and life-enriching program is to create opportunities for older adults and those living with Alzheimer’s disease to stay connected to what is meaningful for them, engage with others, and experience happiness and tranquility through music. In effect, in our assisted living setting, music becomes the medicine – a prescriptive form of healing that nourishes the human heart and spirit, while calming and engaging the mind. Music benefits all of our residents and is a real necessity for those with Alzheimer’s disease – often one of the only forms of communication in which they can engage even after speech is lost – making it a best practice approach in dementia care. Family members and friends may attend music therapy groups whenever possible.